This Pyle-Home ceiling speaker is fashionable and pumps out 100 watts of beautiful sound. It’s perfect when you need to fill a room with sound from above. 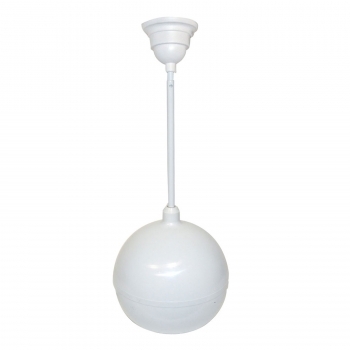 This hanging speaker is features a 6.5” white sphere capable of reproducing sounds from 150 Hz to 15 kHz. It requires 70 V power as supplied by a transformer (not included). Mounting bracket and hardware included.